Leonisation. 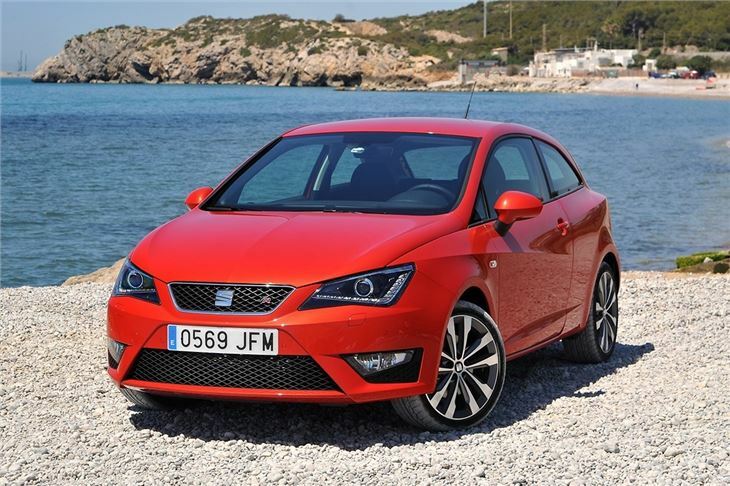 That’s what SEAT calls the latest update to the Ibiza, which is now more like the tremendously popular SEAT Leon - not that you can tell at a glance. 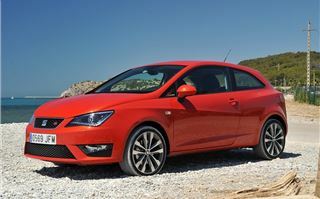 That’s because the Ibiza looks exactly like it did before. Thankfully the changes inside and under the bonnet make all the difference. 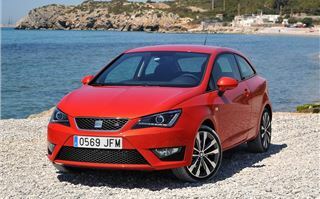 In the same way the Volkswagen Polo feels like a little Golf, the SEAT Ibiza now feels like a little Leon. The most important changes under the bonnet are new 1.0-litre, three-cylinder petrol and 1.4-litre three-cylinder diesel engines. 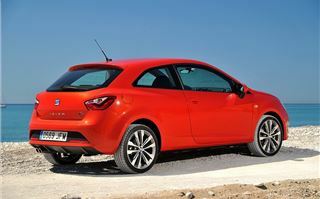 The petrol is available with 75PS, 95PS or 110PS, the latter two options being turbocharged. 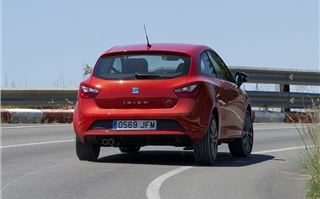 Refinement for the little petrol is seriously impressive for a three-cylinder, plus power delivery is punchy and smooth, giving impressive performance. 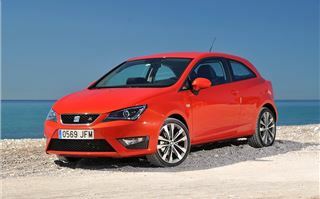 The new diesel, available with 75PS, 90PS or 105PS, impresses too. Even in 75PS form it has ample torque of 210Nm, but unfortunately, rather unlike the petrol, it is on the grumbly and clattery side - though it settles down when up to cruising speed. 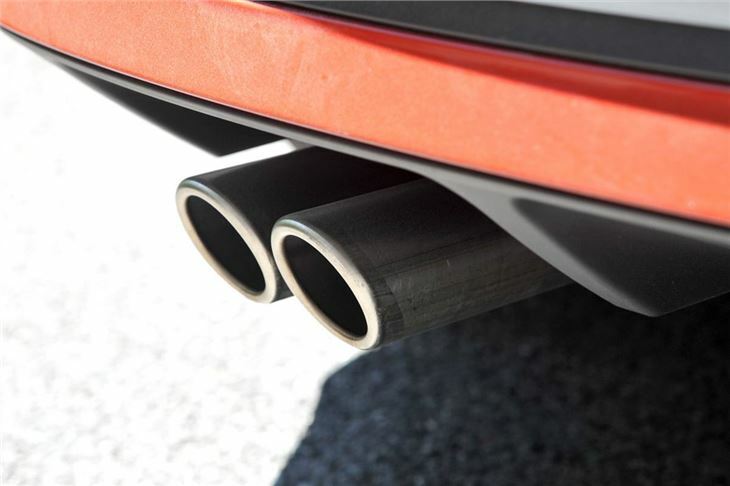 The major advantage of the new engines is lower emissions and better economy - the 95PS DSG automatic petrol emits 94g/km and has official economy of 68.9mpg, while the 75PS diesel emits 88g/km, with economy of 83.1mpg. 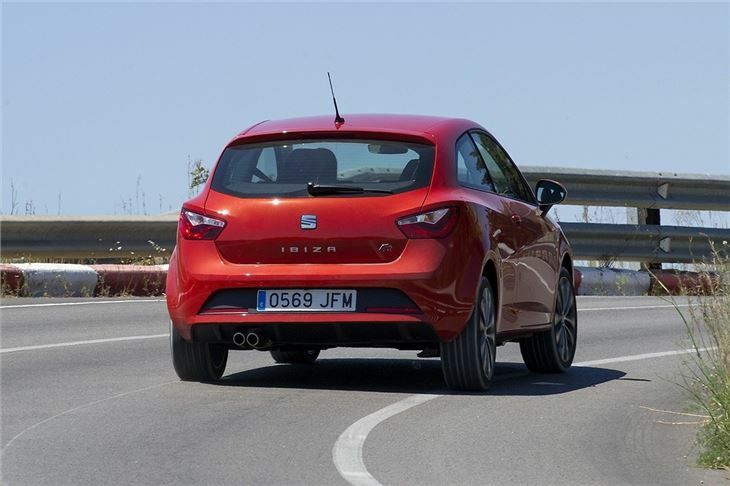 It’s not just the engine range that has been tweaked - the steering, suspension dampers and springs have been revised to improve comfort and refinement on the road, while still delivering an enjoyable drive. It has worked well - the updated car rides better than before even on fairly poor roads, but remains composed and neat through twists and turn, without too much body roll and light but still accurate steering. 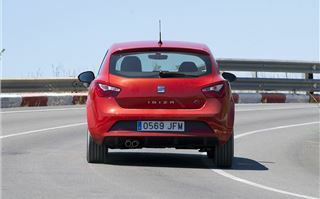 The FR model gets its own sportier suspension arrangement. 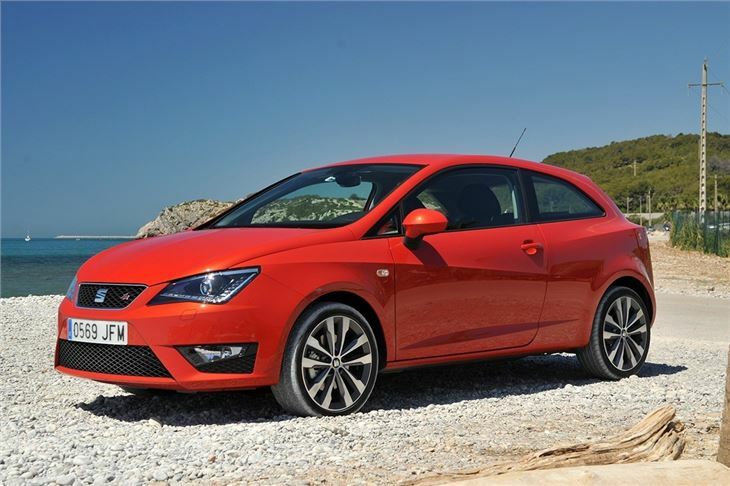 Aside from the new engines, the Ibiza’s cabin has been heavily reworked with a new dashboard design, a new centre stack, a revised instrument cluster and standard touchscreen infotainment - much like the larger Leon. 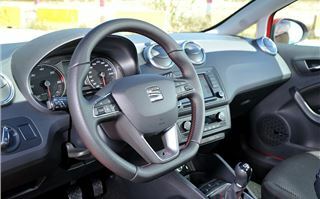 Material quality has been improved with a plusher soft-touch dashboard covering, plus there are new customisation options including a selection of colours for the air vent surrounds and upholstery. 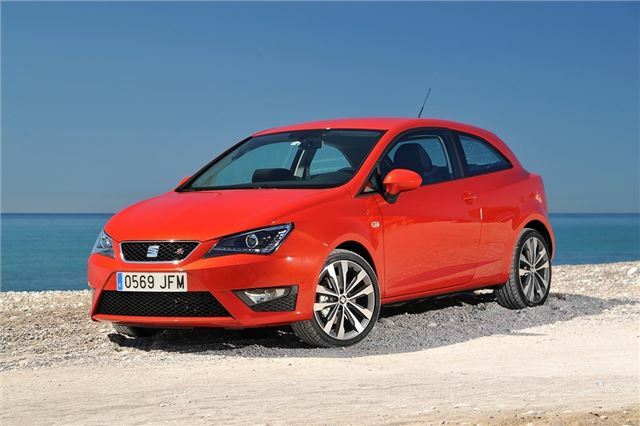 One of the criticisms of the Ibiza following its 2012 mid-life refresh was a dated-feeling cabin, but the changes to the latest model have made a real difference and really bring the car up-to-date with rival cars like the latest Vauxhall Corsa. Perhaps the biggest contribution to the modern vibe is the infotainment screen, which on upper spec cars is the same as the system in the Leon. 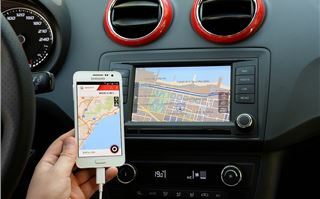 It is slick, clear and responsive, plus there is an optional upgrade that adds ‘Full Link’, a smartphone integration system that effectively transfers your smartphone, be it Android or Apple, to the touchscreen in the car. It makes phone calls and music streaming easy and convenient, plus it adds an extra layer of safety since it deactivates the screen on the handset when on the move. Setting it up for the first time is fairly easy and, after that, it works simply by connecting the USB cable to the phone. The interface isn’t quite as slick or responsive as the screen on the phone itself, but it is still very good. 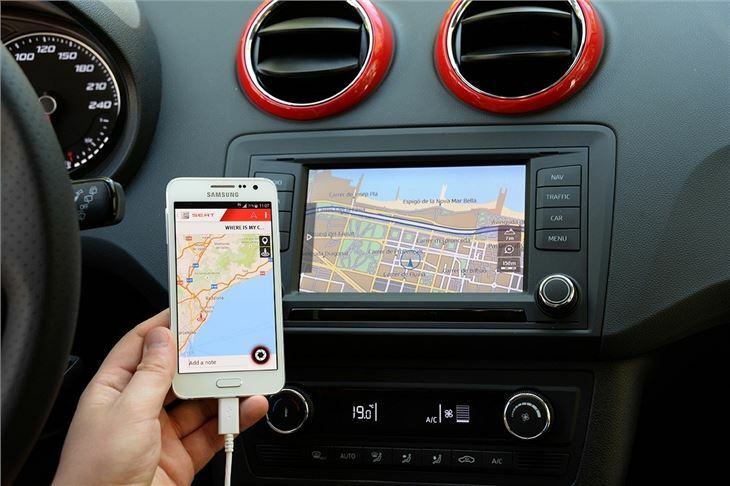 As time goes on new apps will be added – and if you’re without a suitable phone SEAT will give you a Samsung Galaxy A3 free if you buy the Connect variant of the Ibiza. Equipment levels aren’t too bad once you get past the basic E trim level, with S models getting air-conditioning and Bluetooth among the standard gear. 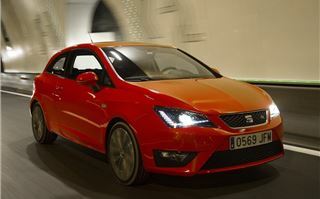 All cars get a touchscreen system but it only displays in colour on SE trim and up. This can be upgraded to offer the Full-Link mobile connectivity as an option, or it is standard on Connect variants. 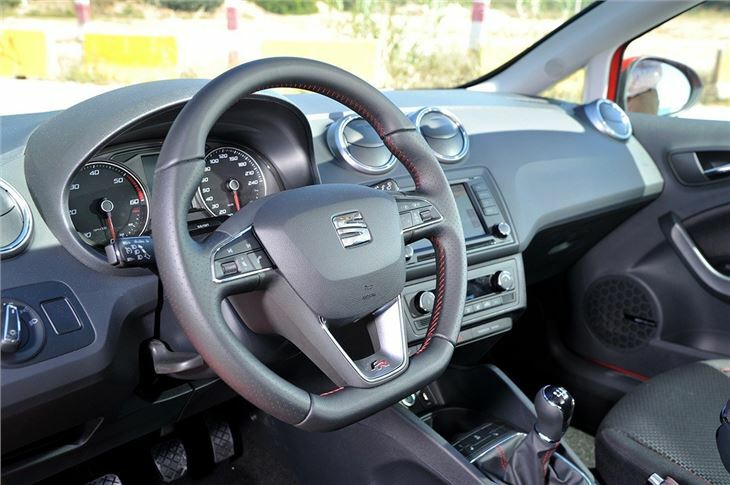 Aside from the big improvement in quality and layout, the interior of the Ibiza is as it's always been. That means comfort levels are good and practicality is as you would expect for a car of this size. 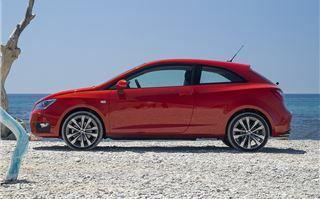 This obviously depends on the body style – buyers can choose between five-door, three-door SC and ST estate. The wagon is fairly unique in this class, with only a couple of rivals including the Skoda Fabia Estate. 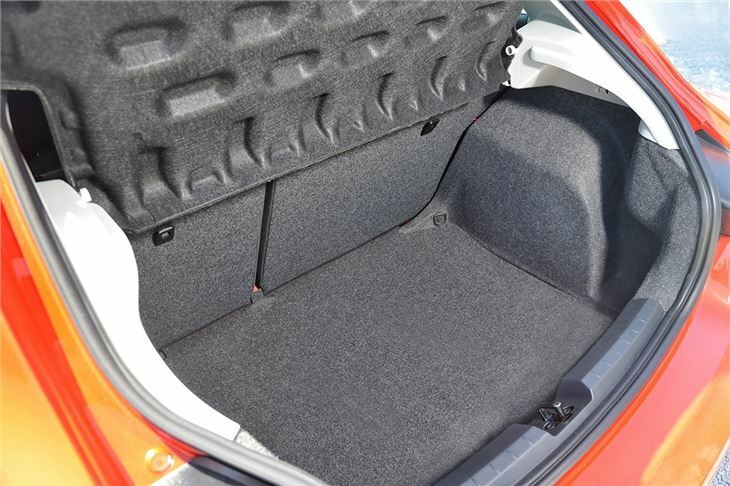 Comfort levels are good up front, while in the rear there is an average amount of leg room, though access is obviously better in the five-door. 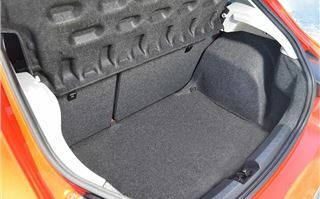 Boot space, again, is about average for the class at 292 litres for both SC and five-door, while the ST model is much more capacious at 430 litres, expandable to 1164 lites with the rear seats folded. 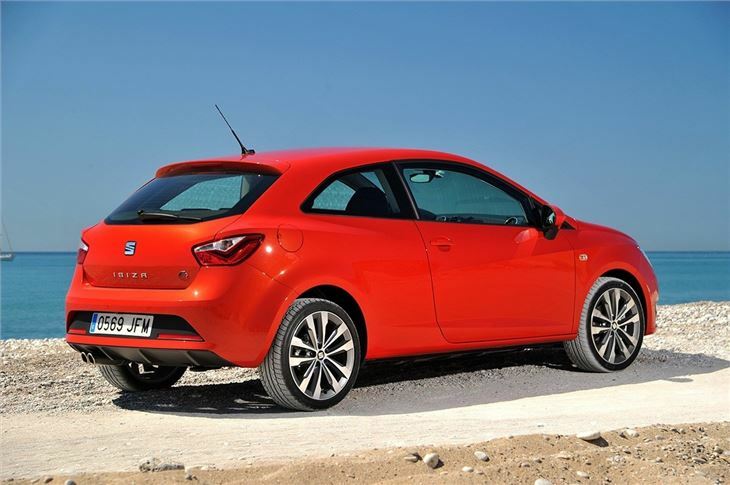 The SEAT Ibiza still looks fresh even after more than five years on sale so, if you’re seduced by the styling, you’ll definitely appreciate the latest round of updates. They do enough to keep the car competitive – but for most buyers there are better, more modern choices on sale, including the more practical Hyundai i20 and the better value Skoda Fabia.